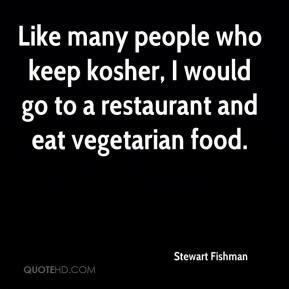 Like many people who keep kosher, I would go to a restaurant and eat vegetarian food. Our customers sometimes want a break from the regular deli fare. 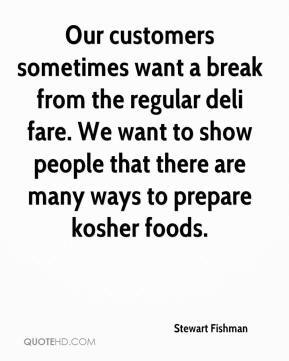 We want to show people that there are many ways to prepare kosher foods. We don't cater just to kosher consumers. Our marketing is largely geared towards the greater community. 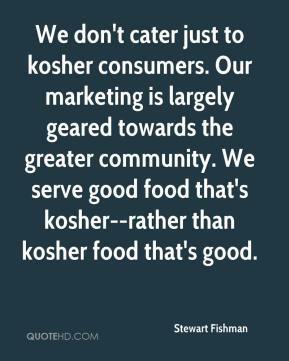 We serve good food that's kosher--rather than kosher food that's good.